R. Martin described this species in 1902, its name specify eight dark spots on two pairs of wings (octo = eight, maculatus = spots). 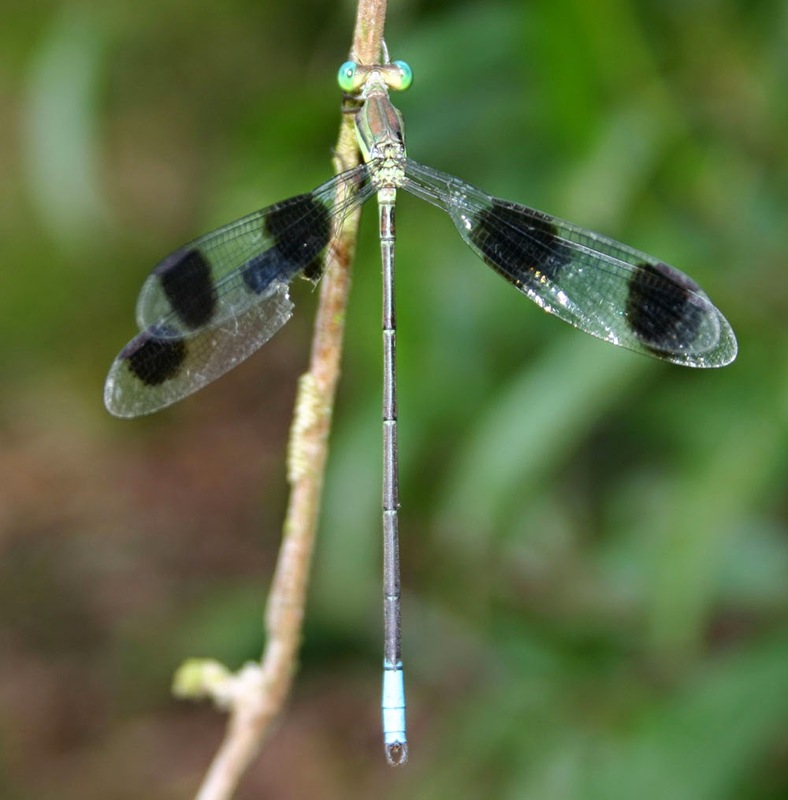 It is a medium-large sized damselfly and like other lestid, it opens the wings at rest. Though being quite large, the species is elongate with a long abdomen. The body is greenish with somehow yellowish marking. Last segments of the abdomen are blue on dorsum. Male and female of the species are dimorphism. The wings of male are hyaline with two distinct dark spots on each, these characteristics are absent in female individuals. However, wings of teneral males some time are hyaline. They inhabit in unshaded dust still waters (ground pools) in lowland forests. 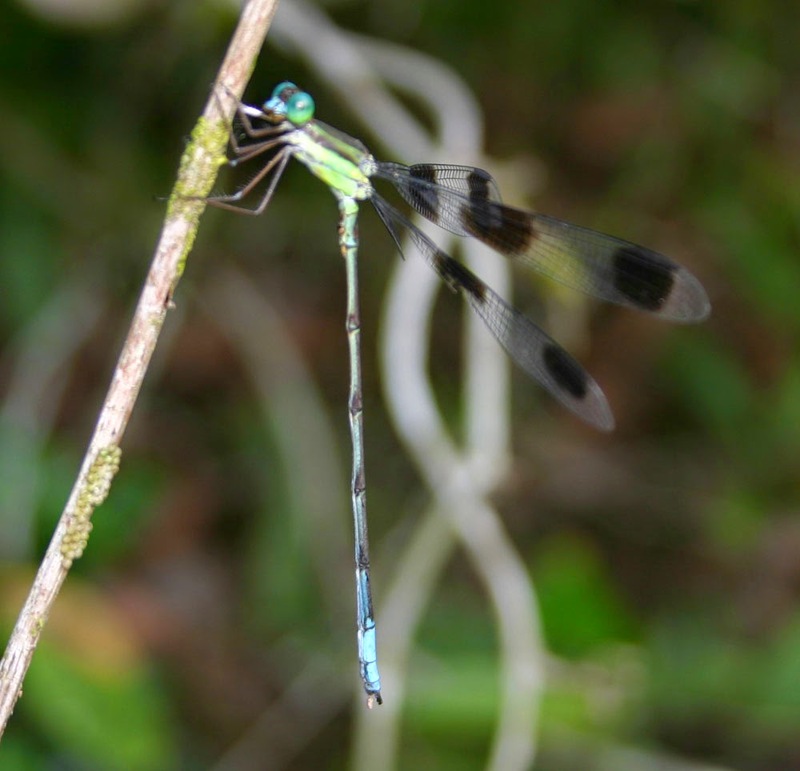 They fly weakly and hide in bushes or vegetations above water surface about 1-2m high. In the entomological survey to South Vietnam, we found a new species of Aegosoma (Prioninae, Cerambycidae) from Lam Dong Province. The species was found in pristine forests with elevation about more than 1200m. Specimens were collected in 2013 and the description was published in 2014 based on both males and females. 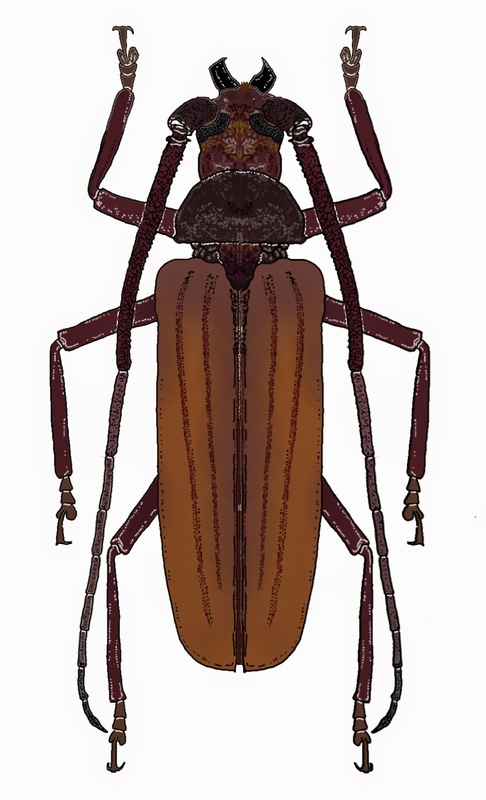 The species is typical with long antenna and red brown in color, costae of elytra are visible clearly. It is medium large prionid beetle and difference from any known Aegosoma, it also not belong to any known group of the genus. Name of the species means "long horn beetle" in Vietnamese.